Goth – Just a Phase? 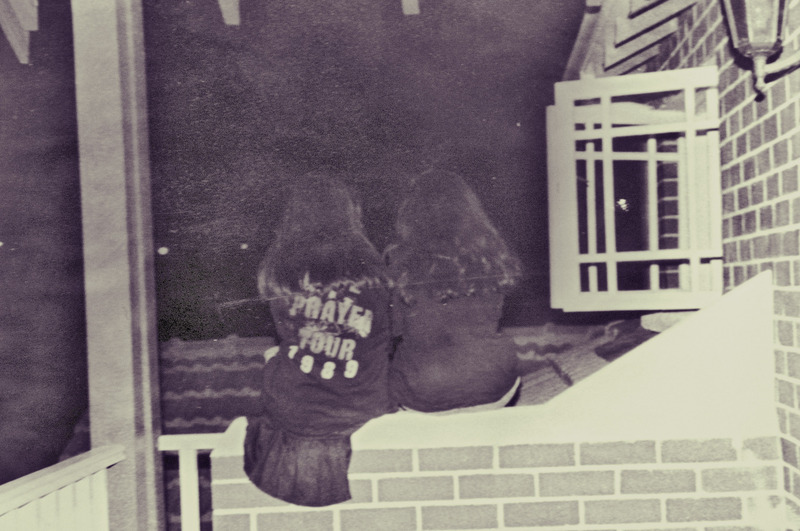 – Goth subculture as an identity constant beyond youth. Just a Phase? Goth Subculture as an identity constant beyond youth. My name is Emma, I have been involved in the Australian Goth scene since I was about thirteen. Now in my early 40s, I continue to be connected to Goth and consider it an integral component of my identity. My connection to the Goth culture has taken me all over the world following bands, visiting Goth events and places. As Goths we can visit clubs, go to gigs or events (such as the Whitby Goth Weekend or Wave Gotik Treffen) and feel like we belong – sometimes without even talking to other attendees. We even have our own day! It is my belief this connectedness – this sense of place – benefits us in a variety of ways and is a key factor which supports the overall longevity of the subculture. I am particularly interested what being a Goth means for those of us over forty – did people think it was Just a Phase (like your parents insisted) – how did Goth come to be part of your life and why is it important…. The Goth subculture is fascinating, it has endured for more than three decades after its first emergence in the late 1970s, and it continues to morph and transform. Over this time, Goth subculture has developed a mature sense of itself: it is aware of its own irony – of its very conformity as a group who proclaim individuality. Goth has a sense of humour about itself – it is quite normal for Goths to insist I am not a Goth ( ….but we are). I will use this site to write about various aspects of the Goth subculture and seek input from others. I will also publish links to surveys for those who wish to participate. By doing this, I hope to improve understanding of the subculture, to share thoughts and experiences with other Goths (and researchers) especially those, like me, who have continued to be involved with Goth well beyond youth! The surveys for Goth – Just a Phase? are now closed. I have received over 2000 responses to the surveys, as well as conducting dozens of interviews, online chats, and discussions with people from all over the world. Thank you again to everyone who has participated in this project. Today we celebrate World Goth Day! To everyone who has found belonging, happiness, comfort and excitement in this fascinating culture, I wish you a fabulous day. 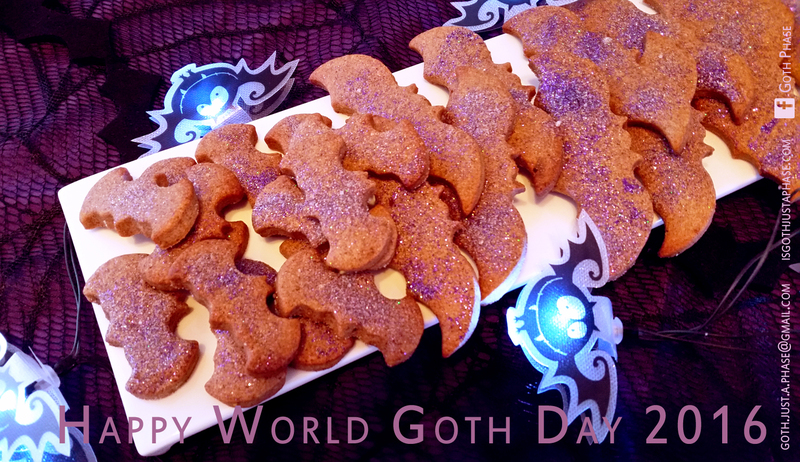 It is a day to celebrate – so play your music loud, crimp your hair or perhaps eat glittery bat cookies! May 22nd 2016 also marks the anniversary of Goth – Just a Phase? data collection and the formal close of the survey period. Thank you again to all the wonderful people who completed my survey and to those I have interviewed for this project over the last year. The research to date has provided insights into the different experiences of belonging in the Goth Culture around the world – from hundreds of different perspectives. I have been fortunate enough to talk to people from many different backgrounds, time-zones and life experience as well as Goths (and ex-Goths) of different ages. I now look forward to reading through the data with a finer comb and teasing (and crimping) out all the details. Over the next week or so I will be finalising interviews and closing off the surveys. I will continue to publish here and and on social media, and look forward to sharing my findings as the project continues. If you are still keen to be involved please contact me directly – all contributions are valuable and add to our story. Thank you to everyone who has completed the surveys, and for the great interviews, conversations, web link ups, online chats, forums etc so far – without your contributions this project would not be able to continue. The anniversary of the project is approaching, and this will signal the conclusion of the data-gathering stage. As data-gathering for this project draws to a close the focus will shift to analysis and writing up of findings. I will continue to conduct interviews until May 22nd 2016, mostly around Melbourne or online, so if you are interested please get in touch. 28th May 2016 – The surveys for Goth – Just a Phase? are now closed. I always welcome talking to people about their experiences in the Goth subculture, so please contact me directly if you wish to be involved. Thank you again to everyone who responded. Australian Interviews conducted over the last few months in Perth, Melbourne and Brisbane as well as online have provided the opportunity to talk with some fantastic people, all of whom have made valuable contributions to this project. I have been interested to hear the different perspectives on the scene, individual understandings and experiences of Goth sub/culture and some of the quirks of belonging as a Goth – especially for those who have been involved in the scene for a long time. Hearing how people interpret the values of Goth culture, how Goths cope with change as well as the ongoing discussions around what is/not Goth/does it matter? and how we read those differences within the scene is fascinating. Insights into how Goths in diverse geographic locations – especially hot ones! – have altered their stylistic choices to suit their environment has been particularly interesting and an aspect of Goth identity which I hope to further explore. Thank you to Daniel for contacting me for an interview about my project on his podcast Cemetery Confessions. It was great to discuss the Goth culture in this forum and I look forward to sharing findings from this research in the future. For those people who have already donated time, effort and energy to this research – my heartfelt thanks and gratitude. I look forward to sharing the stories of our scene and furthering understanding of Goth culture over the course of this project. Melbourne interviews will continue for a couple more weeks. Thanks again to everyone who has participated so far – please get in touch if you are interested in being involved, I’d love to hear from you. Next stop on the interview schedule – Perth! If you are interested in being interviewed for the Goth – Just a Phase? research project I will be coming back to Perth, my once-upon-a-time home: March 22nd – March 27th. I am looking forward to visiting my old stomping ground catching up with Perth folk. Thank you to those who have already booked a time, for anyone else who is interested, please contact me to arrange a time and place to meet (I will mostly be in the CBD). Please let me know via email or Facebook if you would like to participate or via the contact info link below. Thank you to the wonderful people I met in Brisbane; it was fantastic to talk with you and to have the chance to enjoy your beautiful city, even if it was a tad hot! It was great to hear your perspectives on Goth identity and your experiences in the culture in the tropical North. Exploring the city (and its pancakes) was a real pleasure. It was particularly fascinating to hear how the Brizzie scene – especially the clubs and retail outlets – has evolved over the years and how this has changed the way people connect, participate in the Goth scene and enjoy its music. I look forward to discussing this more over the coming months. Now it is Melbourne’s turn! If you are interested in being interviewed for the Goth – Just a Phase? research project I will be conducting interviews in Melbourne throughout February. I am scheduling interviews at different restaurants, bars and other spots around the city, so please get in touch and let me know what suits you. Also – if you are interested in taking part in a group discussion let me know. Please let me know via email or Facebook if you would like to participate or get in touch via the contact link. I am currently planning the first Australian interviews. Brisbane is first off the ranks! If you are interested in being interviewed for the Goth – Just a Phase? research project I will be conducting interviews in Brisbane at the end of the month. I will be in Brisbane January 29th – 31st 2016. Please let me know via email or Facebook if you would like to participate or via the contact info link below. There is some flexibility on these dates, so please get in touch and let me know what time or place suits you and I will try to fit in as best I can. Melbourne, Sydney and Perth will be scheduled soon.